Allow yourself to be carried away to a forgotten island where time stands still. Watch gentle waves lap at the shore while you feel the sea breeze on your skin. Grab a seashell that was swept onshore by a foamy wave and leave your footprints in the wet sand... You don\'t have to go to the ends of the earth to get to this paradise! 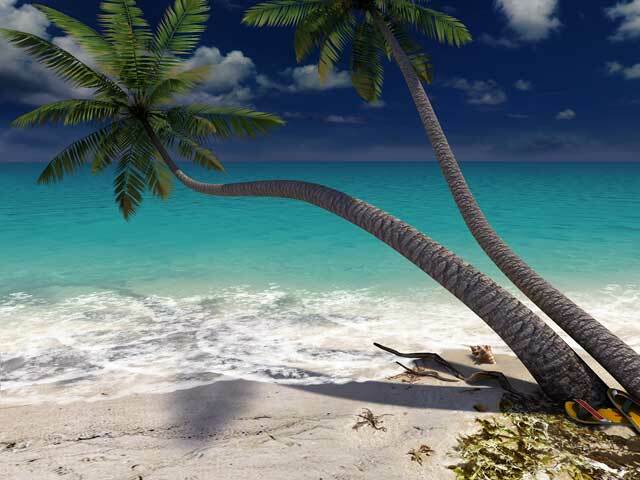 Download the animated screensaver Sandy Beach 3D and meditate on this natural beauty at any time of the day.